Of course there is fine wine, but what about the memories of our loved ones in pictures. Especially loved ones that are no longer with us due to an untimely death. The Allen family has been a friend and client for many years. I have photographed their family for more years than I can remember and have created high school senior portraits of four of their children, including Christine. Last week we got the tragic news that Christine was killed in a freak hiking accident. 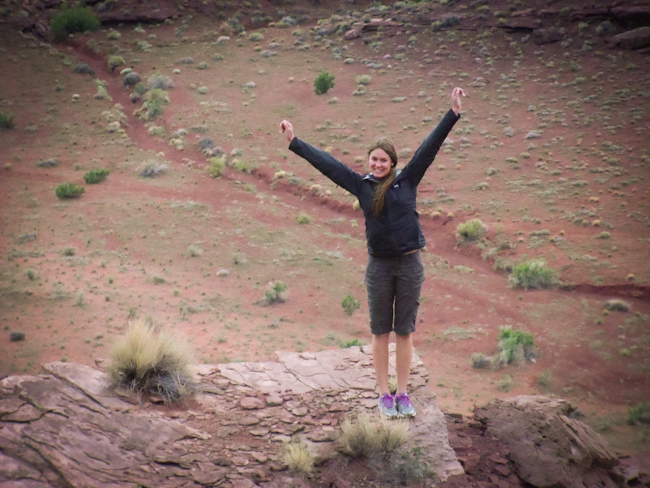 The whole family was with her on a hike in Utah and one of them took this photo of her on a bluff moments before a rock slide took her life. He father said that in the photo she was so excited to have successfully completed her freshman year in college and was soaking up the beauty around her. This, last photo of Christine captured her essence and, I am sure, will always be one of the most precious things the Allen will ever own. You can snap them with your smart phone or hire a pro, but never stop getting photos of the loved ones in your life. You never know which one might become the most precious thing you own.